The most popular types of rolled flooring is carpet (including natural carpet), sinthetic – made of polyvinylchloride (PVC) and linoleum. 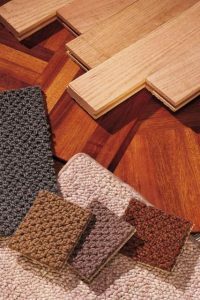 For carpets both materials can be used : natural and synthetic, plus their mixes. 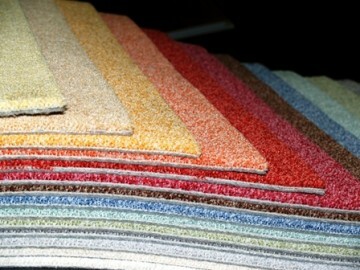 Most popular are – synthetic carpets becayse of their wear resistance. Polyester, polyacryle, polypropylene, nylon — the market is rich with the offers. From the point of view of an ease of care, color fastness, than softness (but a creaseresistance) one of the best is nylon. Its only minus — high price. Natural wool carpets from wool have good elasticity and incomparably attractive appearance. Today they are not very popular because of their low wear resistance against the background of considerable cost. Besides they can become the reason of allergic reactions. Carpet Polypropylene Carpet — an olifena. Density of fibers — higher – better. Pile height — high(to 35 mm) are ideal for bedrooms, short – (no more than 5 mm) will be good for hall and office; Carpet Smell — if you feel an unpleasant smell from a product, it can have hazardous substances. By the way, it is better to smell the center of a roll. Polyvinylchloride and linoleum also have big wear resistance. Apolyvinylchloride floor is made as a single-layer — without basis, and on a latex basis. Such floor is softer and warmer, and also perfectly absorbs step sounds. Polyvinylchloride (PVC) and natural linoleum floorings are especially good for kitchens and other “wet” places — dust and dirt don’t accumulate in joints as it happens with tile floors. And it is much easier to wash this type of floors. However some types of this covering in a damp condition are very slippery so just be carefull.